Chlorine granules have a shelf life of approximately 2 years from manufacture date. 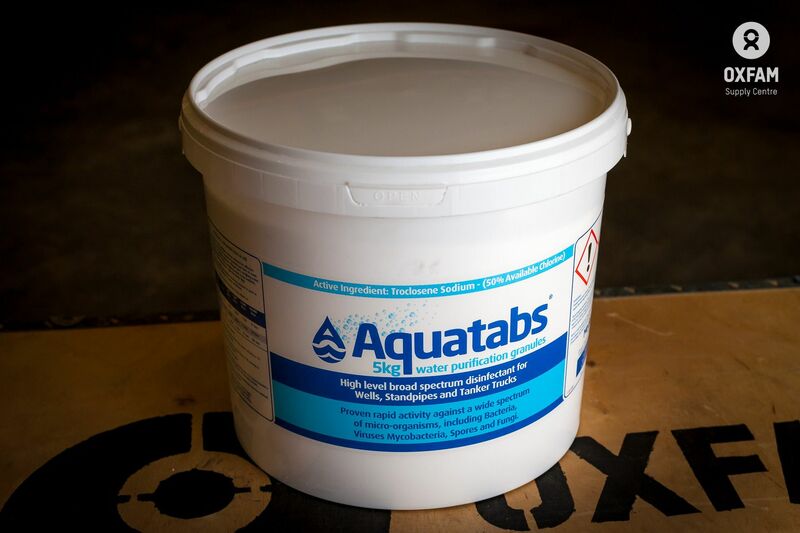 The 1% (10,000 mg/l available chlorine) solution is used to disinfect larger quantities of water - see table below. Personal protection - wear safety glasses. Keep dry and well away from acids. Harmful if swallowed; maybe harmful in contact with skin or eyes or if inhaled. Environmental information - very toxic to aquatic organisms, may cause long-term damage in the environment. Chlorine granules can usually be sourced locally. Higher concentrations or different products (HTH, Sodium Trichloroisocyanurate) will be available. 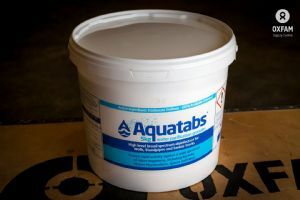 Always check the percentage of active chlorine before purchasing or using the product. NOTE: To be classified as non-hazardous for air freight the maximum size of a single container is 5kg.